With all this rain we thought this tip from our Production Team might be of help. 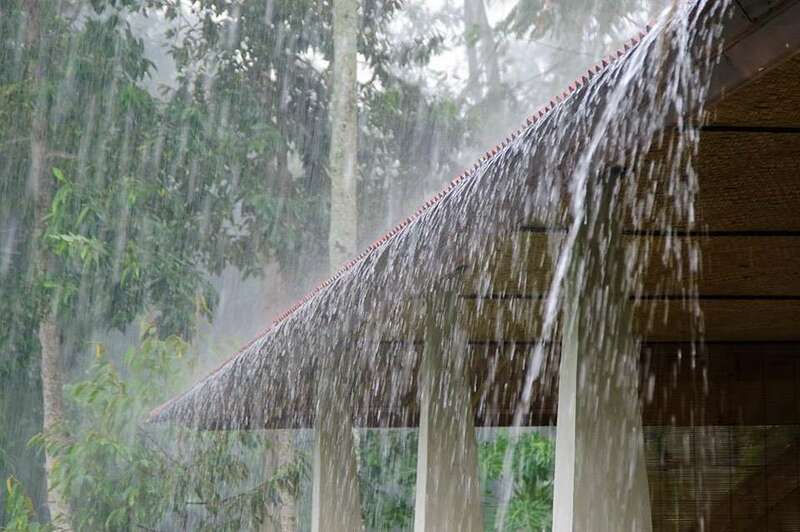 Rain, and what it can tell you about your home’s performance. The California rainy season creates an opportunity for you to see how your home performs in rainy conditions. Take advantage of this very telling opportunity, the heavier the rain the better! Put on a raincoat, grab an umbrella and walk around the outside of the house. No ladders required! Stand at the sidewalk, looking toward your home. Start by looking at the top of the roof and work your way around and down as you walk closer. Water running freely down the roof slope and into the gutters. Water flowing out from the downspout/rain-chain and away from the foundation. Tree branches touching or resting against the roof. Debris on the roof, slowing the flow of water to the gutters. Dripping water from the corners or underside of the gutters. Rusty gutters or open seams. Very slow or no water flow from your downspouts. Rusty downspouts or open seams. Water flowing out from the downspouts and back toward the foundation. Water from the dripping gutters or downspouts splashing up onto the sides of the house. If you find that the rain water is flowing off your roof, down your downspouts and away from your home, that’s great news. If you don’t see this, then it’s time to call for an inspection of your roof and roof drainage system. Having a roof in working order should be at the top of every homeowners maintenance list. Second, would be exterior paint, but let’s leave that for another day.